Every one of you thinks that sweet candies are one of the major causes of tooth decay. However, the answer is NO. You may also be thinking that white clear brushed teeth are the answer to avoid getting tooth decay. And the answer is NO, too. You may be too much influenced by the toothpaste advertisements on radio or television. Do you believe that most cases of tooth decay do not come from the surface of the teeth? In fact, we sent volunteer students who have full beautiful white teeth to examine their teeth to the dentists. Almost all of them or 80% of them came back with a smile saying that they were diagnosed with NO TOOTH DECAY at all. Then, our medical group started to double check their teeth, and found nearly 40% of them was with tooth decay that cannot be seen on the surface of the teeth. We call this as 'hidden' tooth decay. Do you know that there is tooth decay that is visible from the outside and one that is not visible or undetectable from the outside because of what we call 'hidden' tooth decay? To tell you the truth, tooth decay does not start from the outside but from the hidden portion, especially the inner portion of the tooth. Actually, the tooth is coated with enamel, a white durable covering to protect it from the wear and tear of chewing. See photos below. Although brushing your teeth with commonly advertised toothpastes may keep your teeth shining white for a while, this does not mean that you can avoid tooth decay. 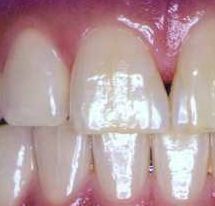 The photo above shows that the teeth are losing its creamy enamel white-colored shininess. It shows tiny bubble-like holes under the microscope. Even if you examine the beautiful white teeth with sophisticated electron microscope, you might find numerous tiny bubble-like holes. How come the tiny holes are within the tooth and not from the surface of the tooth? We were taught and the majority of the public believed that tooth decay is mainly caused by various kinds of microbes inside the mouth. The microbes or bacteria that cause tooth decay utilizes sugars like glucose to live, enlarge, and multiply, and produce acid that melt or bore holes to the teeth. However, the truth is that our teeth are made up of thousands of tiny enamel pores. The acids that the bacteria produce in the plaque penetrate the enamel's pores. This can produce a weak spot in the tooth's surface, and the enamel can decay and create a cavity. Therefore, the inner portion of the teeth will melt or decay first. In this kind of process, the tooth will look like a hardened sponge, which will be noticeable from the outside. This is the tooth decay that can easily be seen. Now, we tell you that tooth decay is not caused by sweet candies as you have thought. Brushing thousands of times with well-known toothpastes won't help as much as your dentists recommend. On the other hand, have you noticed or heard that people with tartar (dental plaque) or those who develop tartar easily have less tooth decay? Yes, this is true. Saliva can repair or remedy tooth decay, because it works by calcifying the damaged portion of the teeth. Saliva calcification is strong enough to hold bacteria inside the tartar. It is the reason that people with tartar have less tooth decay. However, tartar itself can cause holes in the teeth, which can eventually lead to a disease, thus, it is also necessary to clean off tartar from time to time. Saliva gives calcium to the teeth and repair hidden tooth decay every day. However, once the surface of the teeth is broken or decayed, there is no remedy or repair by any means. 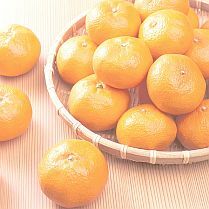 Orange juice or some citrus juice that has strong acidity in the mouth brings about a pH of 5.5. 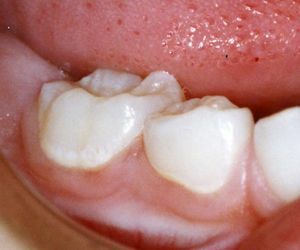 If this condition remains in the mouth, all the teeth will start to melt and create holes. Saliva neutralizes the acid produced by bacteria to maintain healthy teeth. For that reason, we recommend you to chew sugarless chewing gum after each meal, as the gum can stimulate production of saliva and increase salivary flow. Our observation shows that the bacteria that cause caries are active for about 30 minutes after meal. After 30 minutes of meal is the reasonable time to chew a gum to produce more saliva and repair tooth decay. To reduce tooth decay, we recommend that you reduce taking snack and refreshments as much as possible. By doing so, the duration of saliva being produced will increase in a day. Also try to avoid eating immediately before bed. While you are asleep, the amount of saliva in the mouth is much less that there will be lack of neutralization of acidity in the mouth. After brushing your teeth before bed, having no snack or refreshment at all is very important. I remember that during my young age in 1940s in Japan, we had lack of sugar, but many of my schoolmates were affected from tooth decay. 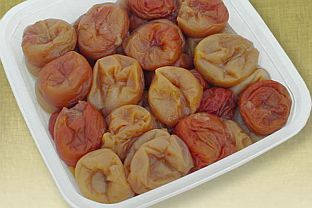 Now, I can really say that tooth decay was then not caused by sweet candies but salty plums called umeboshi in Japan, and Japanese salty apricot candies and oranges or citrus. From the result of taking too much acid, our teeth became to have what we call tooth decay. Now, you can prevent tooth decay by means of chewing sugarless or dental chewing gum, right? 2. "What Causes Canker Sore (Mouth Ulcer) and How You Can Treat It"